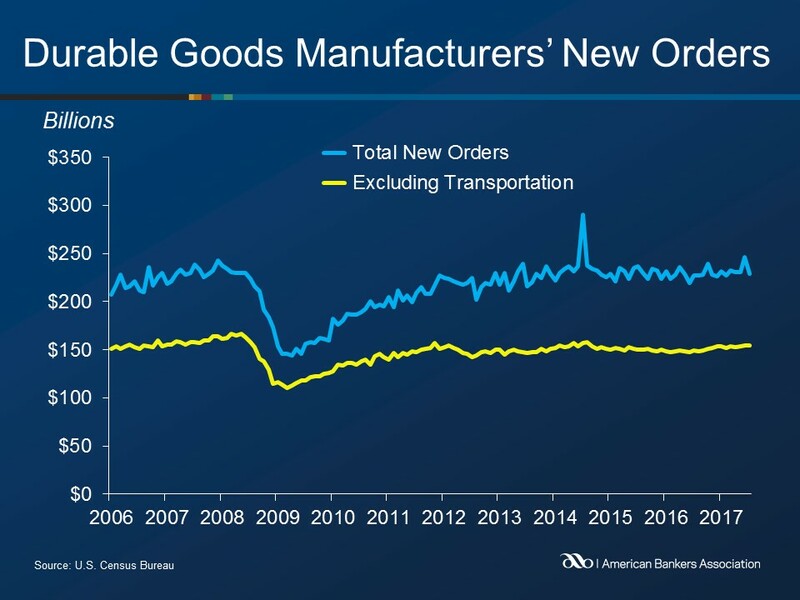 New orders for manufactured durable goods decreased 6.8% in July to $229.2 billion, following a 6.4% June increase, according to the U.S. Census Bureau. July’s figure was the largest monthly decline since August 2014. Transportation equipment, down three of the last four months, drove the decline, falling 19.0% to $74.3 billion over the month. New orders excluding defense fell 7.8% on the month, while orders of nondefense capital goods slipped 20.2% to $67.5 billion. Shipments of manufactured durable goods, increased 0.4% to $237.4 billion. This followed a virtually unchanged figure in June. 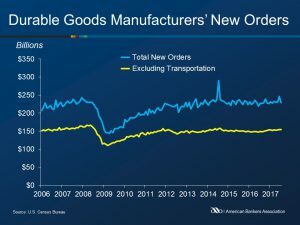 Inventories of manufactured durable goods continued to rise, growing 0.3% to $398.8 billion, following a 0.5% June increase and growth in twelve of the last thirteen months.